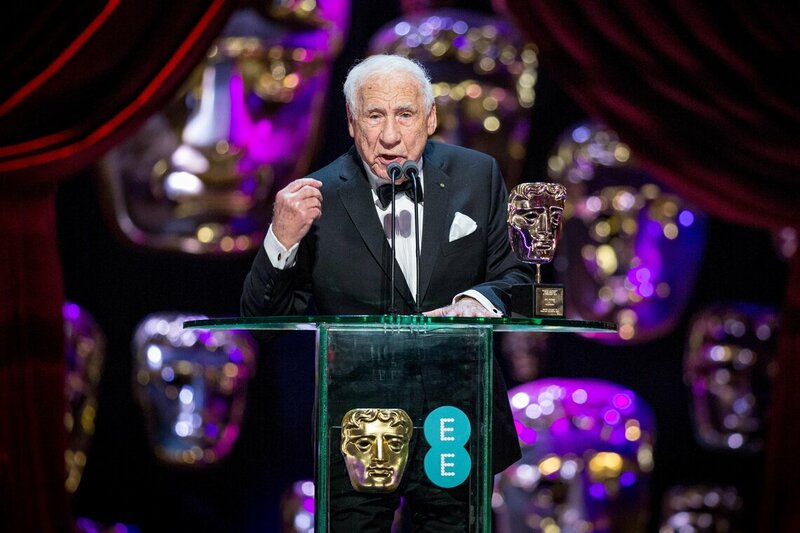 Mel Brooks received the Academy's highest honour, the Fellowship, at the EE British Academy Film Awards on Sunday 12 February. Awarded annually, the Fellowship is the highest accolade bestowed by BAFTA upon an individual in recognition of an outstanding and exceptional contribution to film, television or games. Fellows previously honoured for their work in film include Charlie Chaplin, Alfred Hitchcock, Steven Spielberg, Sean Connery, Elizabeth Taylor, Stanley Kubrick, Anthony Hopkins, Laurence Olivier, Judi Dench, Vanessa Redgrave, Christopher Lee, Martin Scorsese, Alan Parker, Helen Mirren and Mike Leigh. Sidney Poitier was the recipient of the Fellowship last year. "I am not overwhelmed, but I am definitely whelmed by this singular honor. To be included among such iconic talents is absolutely humbling. In choosing me for the 2017 Fellowship I think that BAFTA has made a strangely surprising yet ultimately wise decision." In 1950, Brooks had his first break in the entertainment industry as a writer for the variety comedy series Your Show of Shows alongside co-writer, Carl Reiner. This led to their successful comedy duo collaboration with cult skit The 2000 Year Old Man. 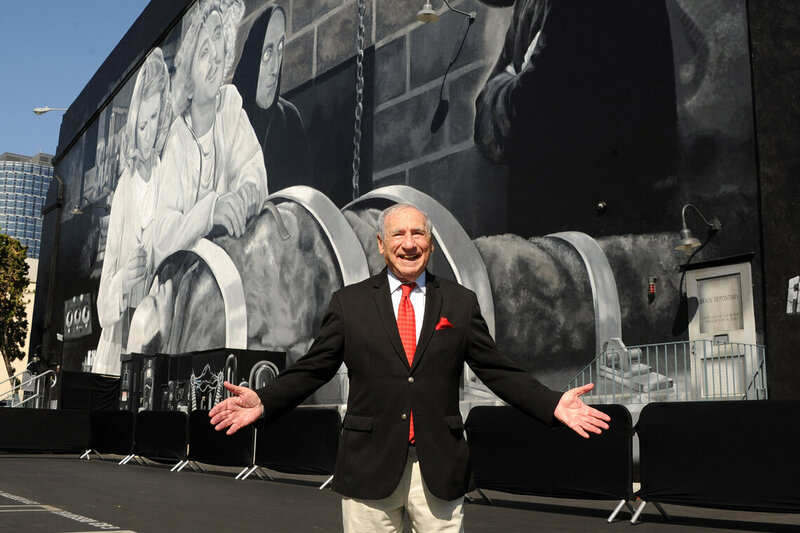 Brooks’ feature film directorial debut, The Producers (1968), won him an Oscar for Best Original Screenplay and was later adapted for Broadway, winning a record 12 Tony Awards in 2001. Brooks later adapted the stage musical into a feature film, which was released in 2005 and starred Nathan Lane, Matthew Broderick and Uma Thurman. Brooks’ ground-breaking third feature film, Blazing Saddles (1974), starring Gene Wilder, Cleavon Little and Madeline Kahn, received two BAFTA nominations for Screenplay and Most Promising Newcomer (Cleavon Little) and three Oscar nominations. Young Frankenstein, his next box office hit, continued his working relationship with Wilder, who co-wrote and starred in the 1974 release.